A "strictly confidential" road map for BlackBerry was leaked and obtained by BBOS. The roadmap includes the expected launch of the new BlackBerry 10 OS. 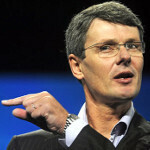 As we recently told you, RIM pushed back the launch of its first BlackBerry 10 flavored handset to next year and according to the roadmap, the first two devices to be powered by the new OS, the BlackBerry London/Nevada, will first hit the European market during the first week of January next year. A month later, the devices will make their Stateside launch. Just a thought. Suppose the L in the name BlackBerry London indicates that it is an "L" series phone which is the model without a physical QWERTY. Now, imagine that N in the name BlackBerry Nevada means that it is an "N" series phone that includes the physical Bold-esquey QWERTY. If you look at the roadmap, that is exactly what the diagram shows. Continuing that way of thinking, the BlackBerry London should have been launched this September and the Nevada in October, if not for the recent decision to push back the launch. We need to back track a second, as according to the roadmap, the 4G version of the BlackBerry PlayBook will be released before the end of this year, some time in Q4 of 2012. Then, after the first BB 10 handset is launched in Europe and the U.S., a BlackBerry 10 version of the BlackBerry PlayBook will hit the market in the first or second quarter of 2013. That will be followed by an unknown BlackBerry device called Nashville, expected to hit the market in the second or third quarter of next year. In Q3 of 2013, RIM's 10 inch tablet, code named 'Blackforest' is expected. Besides possessing a 10 inch screen, the once-rumored to be canceled tablet is supposedly going to have a model with 128GB of native storage. Finally, the roadmap takes us to the BlackBerry Naples, another unknown device with a launch due in the third or fourth quarter of next year. Following our earlier line of thinking, the BlackBerry Nashville and BlackBerry Naples could be QWERTY enabled BlackBerry 10 smartphones. 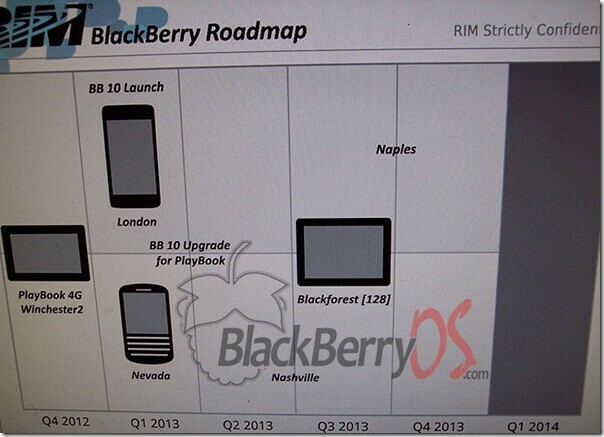 This is just a leaked roadmap, obviously, but the best news for BlackBerry fans waiting to see if the new OS can save BlackBerry from oblivion is that the first phones are expected in Europe and in the States during Q1 of 2013. Unless RIM drops the other shoe, which includes another setback for the launch of the OS, we won't have to wait through the entire year of 2013 to see if what RIM has will enable them to survive. I wonder if RIM will have any market left in the U.S. by the time they release their BB10 handsets in the U.S.? Might explain why they are choosing to launch overseas first. They still ahve 17% of the market, it will not disappear that quickly if they can get BB10 right. I'm getting nervous for them. I hope they can pull it off. I think releasing a bad device at this point is worse than no device in 2012. BlackBerry is still making money. Their problem is decreasing profits, not being upside down. They still have good cash reserves and can survive. They have started to go into survival mode, and their sales are dropping quicker than expected. But, truly they can make it to 2013. Releasing a sub-par device in 2012 though will be devastating. Unlike Google, Microsoft or Apple where income is filtering in from so many other sources, RIM HAS to get BB10 devices right on the first try. They are a mobile company first and only. They have to shoulder the R&D in hardware and software themselves- unlike Google and Microsoft. They only have mobile to offer developers. A bad BB10 offering and they will leave RIM high and dry. RIM should still be at 15% Smartphone sales in Q1 2013. That gives them a huge base to launch from. Even if it ends up being Q2 of 2013 they can still use their strong base to launch a good device. A bad device? They are done. At least as they are constructed right now. oh and samsung/intel TIZEN/Meego prodigy too! the power of linux is what i love about it! 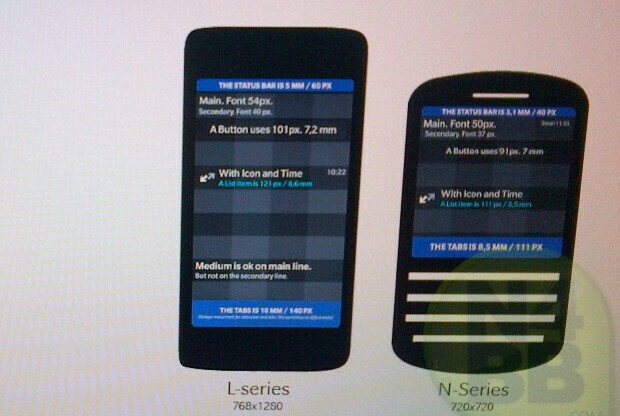 Blackberry should continue development on BB10 and make Windows phones. Unlike Nokia, they wouldn't be putting all their eggs in one basket, they would probably get a huge check from MS, and many would love a WP8 handset with a Blackberry QWERTY keyboard.